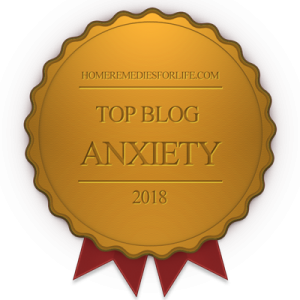 Managing Anxiety? What to Do About Panic Attacks? Here’s how I turned it around. I was in the midst of a living hell. Sure, I knew what I was feeling – and had a smidge of insight into what was going on. But what to do about it was a major mystery. It was 1989 and I was 34-years-old (okay, I’ll wait while you do the math). What I now know to be panic and generalized anxiety disorders, as well as an anxiety-associated depression, were beating me to a pulp. I sure as heck didn’t have much left in the way of strength, inspiration, or motivation. But somehow I continued to look – and hope – for answers. My ex-wife and her sister wanted to hit the mall and asked if I’d like to come along. Now, if you’ve ever endured an anxiety disorder, you know such a trek isn’t on the top of your to-do list. The three of us were walking down the concourse, and my partners decided to hit a clothing store. I believe it was in jest, but they asked if I wanted to join them. Well, no. I elected to stroll with an agreed upon meeting time. I’ve always enjoyed bookstores. And after a bit of walking, one came into view so I headed-in. Even before I made it my life’s work, anything having to do with the mind automatically drew my attention (hmmm, having had my first panic attack at age nine, I wonder why?). So you got it, I hit the psych section. And the event that turned my life around occurred. I saw a book entitled The Good News About Panic, Anxiety, and Phobias. It was written by Mark S. Gold, MD. Think my curiosity was piqued? You’d better believe it was. So I grabbed a copy, paid for it, and feverishly began reading while I waited for my ex and sis-in-law. What I was reading was revolutionary. No, it was more than that. It felt like the removal of a death sentence. Not only was Dr. Gold describing and explaining exactly what I was enduring – he was telling me it wasn’t my fault. And he also told me there were medicines besides benzos (Xanax, Ativan, Klonopin) that could help me feel better. It was an electric moment. One I’ve obviously not forgotten. In the back of the book was a listing, by state, of psychiatrists who concurred with Dr. Gold’s perspective. I wanted relief badly, so you can be sure I found someone to call in the Chicago area. It was Dr. Jan Fawcett, head of psychiatry at what’s now Rush University Medical Center. What I didn’t realize was Dr. Fawcett was kind of a local celebrity. Whenever there was a news story involving psych, he’d be the one most often interviewed by the TV and radio stations. The very next day I found a private place at work to call Dr. Fawcett. And what do you know. He took my call. Can I tell you something? My eyes are full of tears and there’s a lump in my throat even as I write about it. Dr. Fawcett and I chatted for quite some time, and the conversation ended with a referral to the Anxiety and Depression Clinic at the University of Chicago Hospitals. After a healthy cry (heck, I cry watching The Sound of Music), I called the clinic and scheduled my first appointment. More on that tomorrow. Be sure to come back, okay? 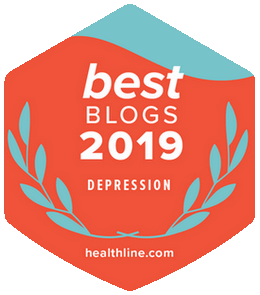 To catch a listing of all the chipur articles on the psychology of depression, anxiety, and bipolar disorder – click here.